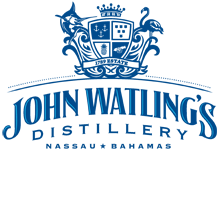 John Watling’s Distillery opens today at the site of the newly renovated and legendary Buena Vista Estate in the heart of downtown Nassau. 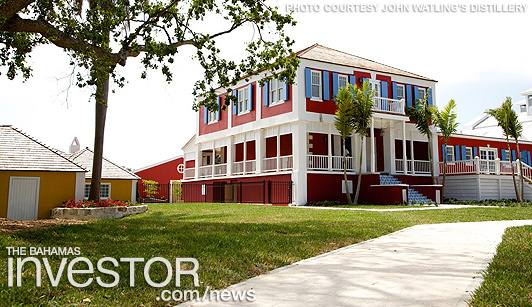 NASSAU, Bahamas (BUSINESS WIRE) — John Watling’s Distillery – JOHN WATLING’S rum, the “Spirit of The Bahamas,” announced today that it has opened its doors for complimentary tours at its home, the Buena Vista Estate, in Downtown Nassau. The historic Estate, founded in 1789 and overlooking the harbour, is the site where Bahamians hand-craft JOHN WATLING’S small-batch Pale, Amber and Buena Vista rums. At the Estate, John Watling’s features a production and museum-like tour, shopping and signature Bahamian cocktails at its Red Turtle Tavern. Within walking distance from the cruise ship port, John Watling’s Distillery is located on Delancy Street and is open from 10am-6pm, seven days a week. The Distillery will be open to visitors daily and will feature complimentary tours showcasing the history and heritage of The Bahamas. The tour begins in the entrance lobby of the Buena Vista house and includes antiques and prints dating back more than 300 years. Photographic exhibits and displays have been provided by the descendants of the Buena Vista’s long list of residents, which includes Royal Governors, Chief Justices and Knights of the British Empire. The tour then continues to the storehouse where guests get up close and see how JOHN WATLING’s rums are bottled the old-fashioned way by local hands. It offers a unique multisensory experience where guests will see more than 1,000 ageing white oak barrels that fill the air with the ‘Angel’s Share,’ which is the portion lost to evaporation during the many years the rum rests in the barrel. Just outside guests will also be able to see the newly discovered 200-year-old water well cut out of solid limestone, measuring 7.4 feet in diameter and 65 feet deep. The well is situated in the area between the Buena Vista home and the Distillery, and it is assumed that it was carved out by slaves sometime from the inception of the Buena Vista in 1789 to the enactment of the British Slavery Abolition Act of 1833. More than 175 years of rum-making experience went into creating JOHN WATLING’S rum, as five founding members; Pepin and Leon Argamasilla, Jose and Mario Portuondo and Guillermo Garcia-Lay, of JOHN WATLING’S DISTILLERY are also sixth generation members of a rum-producing family with more than a half century tie to The Bahamas. JOHN WATLING’S rum is the new super premium rum of The Bahamas. It is available as a two-year-old Pale, three-year-old Amber and a five-year-old named after the Buena Vista Estate. JOHN WATLING’S rums are fermented and distilled from hand-cut, freshly pressed sugar cane molasses and all products made at John Watling’s Distillery are handcrafted and hand-packaged by Bahamian hands. At John Watling’s we use local materials and employ traditional English rum-making methods to produce the “Spirit of The Bahamas.” The Distillery uses the least amount of mechanization possible without compromising on quality, and even the bottles are adorned with a section of Sisal Plait that is woven by hand in the Bahamian islands of South Andros and Cat Island. JOHN WATLING’S rums, which began selling this March, are currently only available on New Providence and a very few of the Family Islands, and have been thoroughly embraced by Bahamians and tourists alike; local stores and bars have sold out of the product on a weekly basis and more than 4,000 bottles have been sold. John Watling was known as the “pious pirate” who sailed the Bahamian seas. He was an English buccaneer from the 17th century who settled on San Salvador Island and named it after himself. He sailed with famous buccaneers such as William Dampier, Woodes Rogers and Bartholomew Sharpe. In 1925 when it was finally determined this was also the island of Columbus’ landing, the name was changed back to San Salvador Island. JOHN WATLING’S DISTILLERY is located on Delancy Street, within walking distance from the cruise ship port in Downtown Nassau and is easily accessible to both locals and visitors. To plan a visit, tourists should go to www.johnwatlings.com or call (242) 322-2811, or just show up. Tours are free and self-guided. Operating hours are 10am to 6pm seven days a week. For more information, photos, and news about John Watling’s Distillery, please “Like” the Facebook page at www.facebook.com/johnwatlings. Minister of Foreign Affairs and Immigration Fred Mitchell is in Springfield, Illinois, today on an official state visit. The largest English language newspaper in China, The China Daily, has published on its US website a dedicated section to investment in The Bahamas in light of the Asian nation's bankrolling of the multi-billion dollar Baha Mar resort. Read the article here.